MTV Movie Awards kick off on Sunday, April 13 at 9 p.m.
Late night's Conan O'Brien will take the stage as host at the 2014 MTV Movie Awards on Sunday, and we'll be chronicling all the funny moments that are sure to ensue. Want to contribute to the live reporting? 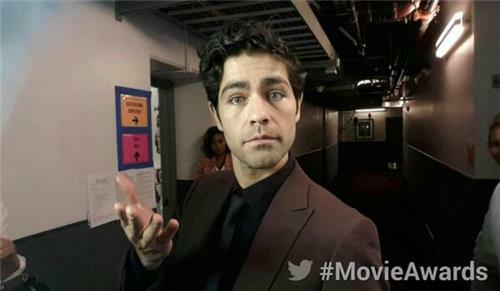 Contribute here with a direct comment, or visit Twitter and use the hashtag #mtvmovieawards to be included. Out of all the songs they could have picked to close the show with, MTV's #MovieAwards chose the one that was sure to put me to sleep. And the 2014 #MovieAwards movie of the year goes to "The Hunger Games: Catching Fire." Sam Claflin (Finnick Odair) and Josh Hutcherson (Peeta Mellark) are accepting the award on behalf of "The Hunger Games: Catching Fire." That wraps up the show. Hope you guys had fun tuning in! Look for highlights photos and videos on Boston.com tonight (and more tomorrow).